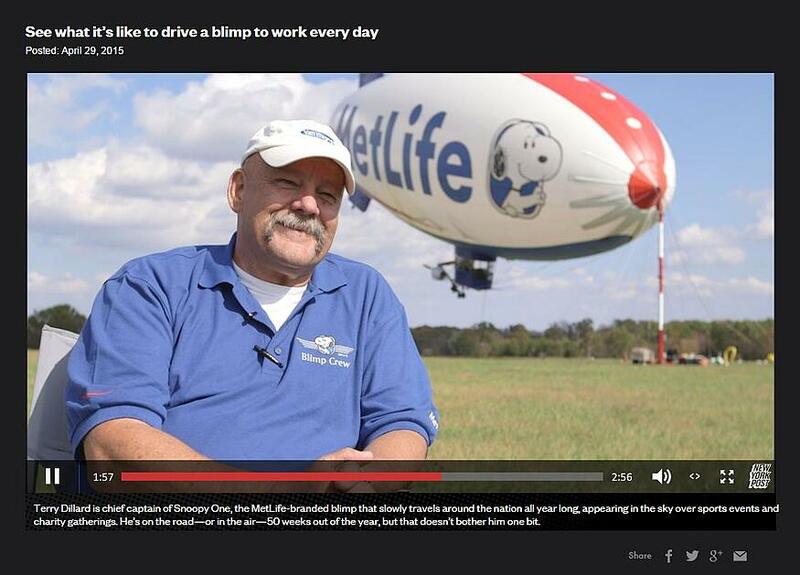 Yesterday, the New York Post published an inside look into what it is like to be a blimp pilot. 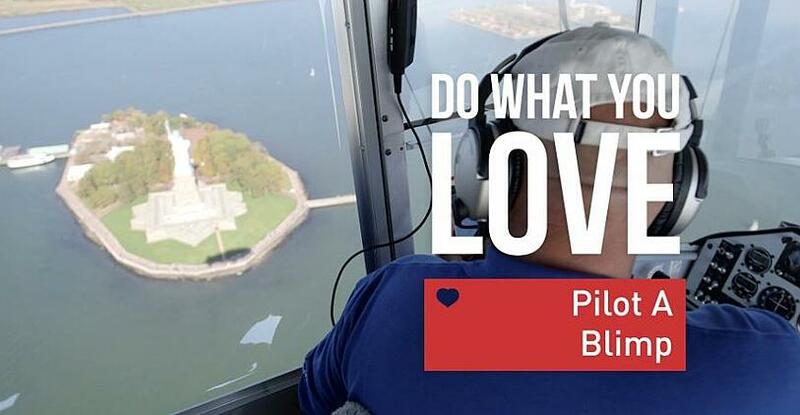 Van Wagner Aerial Media's very own Terry Dillard, Chief Captain of MetLife Blimp Snoopy One, took the New York Post team for a ride in the airship and discussed what it's like to pilot one of the most recognizable dirigibles in the world. Dillard has been a blimp pilot for over 23 years and knows the ins and outs of airship operations. He is on the road - or in the air - 50 weeks out of the year, but that doesn't bother him one bit. "[This job] has taken me pretty much all over the country and I've loved every mile and every minute of it," Dillard said. He explains that flying the actual blimp is only 10% of his overall duties, close to 90% of his time is spent managing the team, hotels, guests, the media, and participating with charitable organizations. "The things that I really love the most, are the things we get to do behind the scenes like [working with] children's hospitals. Our marketing department makes the airship available for those charitable organizations. So, I might get a client who has a child in the hospital that is getting out this weekend...For a child, and his/her family to come out and fly with me in the airship - I like that!" Dillard travels with Snoopy One for much of the year, providing aerial coverage at golfing tournaments and flying over the biggest events across the nation. It's safe to say Terry has the best seat in the house. "You cant measure how much I love my job. I love it every day...It's a privilege."